Such inquisition is always likely to lend itself to a certain degree of speculation, but given the industrial gas year that 2016 has been, one might say it was more crystal ball gazing than gas guesswork. Air Liquide has since completed the $13bn acquisition of Airgas, Inc. and another potential industry game-changer could be on the horizon as the year ends, with the resumption of merger talks between Praxair, Inc. and The Linde Group. 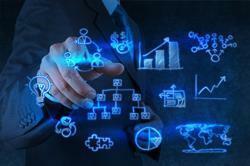 In the last few days, the two companies have announced the terms of an agreement in principle. There can be little argument then that 2016 has been the year of mergers and acquisitions (M&A) in the industrial gases business. In taking a look back at 2016, we have to cast our minds further back, to that article in spring 2015. The industry’s focus at the time had long been inward, on improving the bottom line, while most of the big deals within the industry had arguably been done. 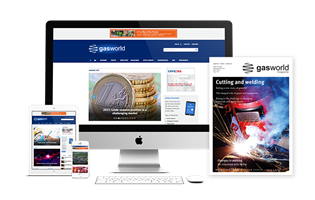 With economic projections relatively modest and organic growth increasingly difficult to achieve, however, gasworld pondered whether there was room for one more big deal within the global industrial gases business. Hot topic: Mergers and acquisitions within the gases business – where are we now? While there was a feeling among the industry’s esteemed consultancies that such a deal would prove unlikely, given the similarly sized market capitalisations of the six major players and the inherent cultural differences between many of those companies, the idea of a new ‘superpower’ being created could not be dismissed. The name emerging from many of those trains of thought was Airgas. The company had been an attractive business proposition for some time, having built a position of leadership in the US packaged gases market, and associated products and services, and continuing to grow its customer base. It had also been the subject of an ultimately failed takeover bid by Air Products a few years earlier. By the close of 2015, those lines of thought were vindicated, with the news that Air Liquide had reached an agreement to acquire Airgas in a combination that would not only change the face of the US industrial gases business, but also reinforce a global leadership position that Air Liquide had already been nudging itself into. And so, in relatively quick order, that agreement was realised in early 2016; the industrial gas year was off to a seismic start. On 23rd May 2016, the acquisition was official and the ink began to dry on what was the biggest deal in the industry in years – the biggest since The Linde Group’s acquisition of the BOC Group for $14bn in 2006/7, in fact. 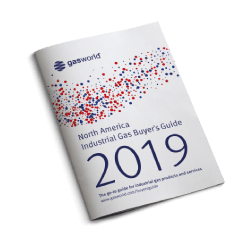 As I reflected at the time, the ink was not just drying on the paperwork, there was an indelible mark being made on the North American gases business as a whole. The deal created comfortably the biggest industrial gas group in the world, while also establishing Air Liquide as the largest player in a North American market valued at $23.1bn in 2015 (US: $19.6bn) according to gasworld Business Intelligence and previously led by fellow Tier One player Praxair. Just over six months later, I understand that leadership position equates to a 28% market share, around seven percentage points more than Praxair. Not that it feels like the dust has really settled yet. Since May there’s been no less than 17 air gas production plants sold off across 13 US states, in addition to numerous other gas production facilities and retail sites, as Air Liquide upheld its necessary divestments resulting from the acquisition. 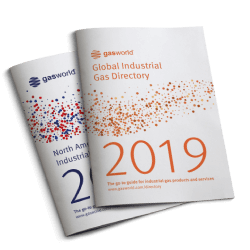 Those divestments alone provided further interesting shifts in the US marketplace last year as MATHESON and Aspen Air took the opportunity to gain ready-made ground in the world’s largest industrial gas hub. 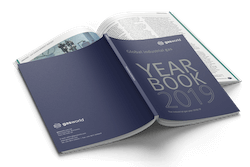 One might say that a strong sense of competitive edge has arisen in the months that followed, too, as some of the remaining major players clearly reviewed their own global leadership positions – room for one last hurrah in M&A may have been envisaged, but two in close succession? If Airgas was an obvious candidate, then surely few could have foreseen a potential merger of equals between Praxair and Linde emerge – and essentially in the same year as well. August 2016 saw the story appear to play out in a frenzied manner, with a sense of scrambling from all around as both sides sought to send their statement out to the world while investors and analysts alike buzzed with speculation for what might transpire. Almost as soon as the story gained traction, it was over as talks terminated amidst a lack of ‘mutual understanding’. But talks resumed this month and with a much less frenetic feel than before; rumours of a revival in discussions had swirled for some time, so much so that many felt it was only a matter of time. It strikes me as a deal that both parties are keen to get across the finish line, even if we are minded to caution that any merger is far from guaranteed. I said around the time of the Air Liquide-Airgas acquisition breaking that it seemed as if the rhetoric was different; while a bitter war waged as Air Products attempted to acquire Airgas five years previously, when Air Liquide made its advances in November 2015, the ‘body language’ was far more positive. There’s a similar vibe here with Praxair and Linde, to my mind. The fact that both are clearly keen to return to the negotiating table speaks volumes. Further still, the swift return of Professor Dr. Aldo Belloni – who had previously presided over the acquisition of BOC in 2006/7 – to the Executive Board suggests to me this is a deal that Linde wishes to see through. The rhetoric in announcing Dr. Büchele’s immediate departure as CEO and Dr. Belloni’s return appears to hint as much, while the two companies have wasted no time in establishing (and announcing) the terms of an agreement in principle. 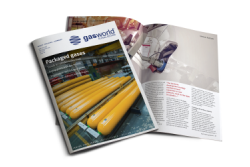 With this in mind, 2017 could prove to be a similarly game-changing year for the global gases business. It has been such a year of mega M&A in the gases business that it would be impossible to pay deference to all of the many of deals and asset swaps that have taken place in the industry this year. There are a number of regional highlights to reflect upon, however, with the US and Asia-Pacific markets the subject of particular focus. Various distributor deals have been wrapped up in the US market in the last 12 months, and Tech Air has notably continued its acquisition trail across the country. In Europe, notable M&A activity has seen Praxair complete the takeover of Yara International’s European carbon dioxide (CO2) business (effective June 2016) and an asset swap between Messer Hungarogáz Kft. and Air Liquide Hungary Ipari Gáztermelő Kft. that saw the former acquire fixed assets including an onsite ASU, two nitrogen generators and a cylinder filling plant as of May 2016. The two corporations will eventually merge and integrate under the new name Messer Iparigáz Kft, but day-to-day operations will continue to exist unchanged in the meantime. In the Asia-Pacific market, arguably the biggest deal may yet to be done – as 2016 draws to a close, Daesung Industrial Gases – one of the biggest players in South Korea’s industrial gases market – is reportedly the subject of an auction process that would see the Goldman Sachs Group relinquish its controlling stake in the company. 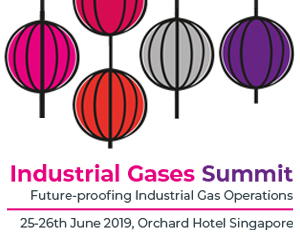 Daesung Industrial Gases is the second-largest player in the South Korean market, just behind Tier One multinational Air Products. 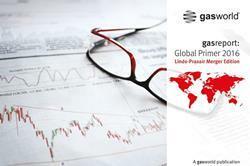 According to published sales figures provided by local publication iGas Journal, the company recorded 2015 sales of $514m – up 23.4% over its sales the prior year (2014). According to the Wall Street Journal, the Goldman Sachs Group could be set to cash in on this saleability, having sent out financial details of the operation to prospective buyers including private equity firms, South Korean conglomerates and global industrial gas competitors and invited bids for the entire company. But a raft of other M&A activity has taken place in the Asia-Pacific region this year, with highlights being Air Water Inc.’s acquisition of all the shares of Taylor-Wharton Malaysia Sdn. Bhd. in February and Taiyo Nippon Sanso Corporation’s (TNSC) acquisition of Australian industrial gas business Supagas Holding Pty Ltd, as the company continued its overseas expansion strategy. Key M&A business was also observed in certain gas markets this year, with dry ice innovator Cold Jet revealing the acquisition of fellow dry ice company IceTech as the year began (January), bringing together two of the leading players in their field. Likewise, the on-site gas generation sector saw two of its leading proponents come together as France-based NOVAIR acquired Italian generator manufacturer NOXERIOR (previously known as IGS-Italia). Worthington Industries has also spent the year integrating the assets of the global CryoScience business of Taylor-Wharton into its operations, following its acquisition of the business – including a manufacturing facility in Thedore, Alabama – just over 12 months ago. Change at the top: McCausland; Dr. Büchele; Dr. Belloni; Dr. Reitzle. 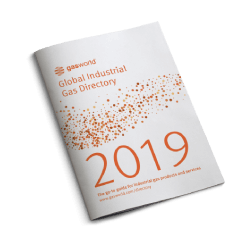 And with the passing of a mega year of M&A that was 2016, we also say farewell to a few esteemed industrial gas professionals along the way, for now at least. More recently, the exit path was taken by both Linde AG CEO Dr. Wolfgang Büchele and Chief Financial Officer Georg Denoke. While Denoke left with immediate effect in the aftermath of Praxair-Linde talks breaking down in September, Dr. Büchele confirmed he would not stand for a second term in April (2017) and then offered to resign his mandate immediately once merger talks with Praxair were revived this month. Taking his place at the top table is the returning Professor Dr. Aldo Belloni, joining Professor Dr. Wolfgang Reitzle in returning to the Linde fold after around a two-year absence. In a veritable industrial gas re-acquaintance, Prof. Dr. Belloni swiftly succeeded Dr. Büchele as CEO on 8th December and will surely be firmly entrenched in resumed merger talks with Praxair. On that note, we say goodbye to 2016 and look ahead to another blockbuster year for the industry in 2017. Arguably the biggest story of 2016 was the shock election of Republican candidate Donald Trump to US President, over Democrat rival Hillary Clinton. A hard-fought and often bitter race to the White House was won in November, and culminates in the official transition to President on 20th January.